In over 40 years of the vegan/vegetarian and live food movement, of conferences, symposia and lectures, we can say confidently that we know of nothing more enlivening and healing than finely divided greens – parsley, lettuce, kale, celery and chard – blended into a “green drink”. We have it for breakfast and drink six days a week. It is delicious and brimming with life forces. There are ways to make it even more alive. We take pleasure in sharing some enlivening ideas in this video. Garnish with cacao nibs or vegan chocolate chips. Blend coconut (meat and water), cashews, and maple syrup until creamy. Transfer 2/3 of mixture to bowl. To 1/3 blender mixture, add berries. Add salt,vanilla extract (or 3 drops Medicine Flower Vanilla extract), Strawberry extract (optional to pop flavor), 1 t lucuma powder(optional). Blend until creamy and pour into a separate bowl. Transfer first pudding mixture to blender and add 2-3 T cacao powder. Add additional sweetener if needed (taste and see) and blend well. Pour chocolate pudding into goblets or glass dish, filling 1/3 of serving glass. Top with equal amount of strawberry pudding, and finally, top with chocolate mixture. Chill 1 -2 hours and serve – garnish with coconut, cacao nibs or chopped nuts. Note: I usually don’t measure ingredients when I make pudding..just blend and taste. Add more chia or cashews to thicken. Adjust sweetener to your liking. Want strawberry pudding more pink? Add a sliver of beet or 1T dried raspberry powder. Have fun and create different layers. Surprise your sweetheart with this yummy, romantic dessert!!! (Mercola) Over the years, many theories have been advanced about how much you should eat and when you should eat it to achieve optimal health. Research reveals many Americans eat all day long, as frequently as 15 out of the 24 hours.1 Most also consume a majority of their daily calories late in the evening. Such dysfunctional eating patterns are a recipe for metabolic upset and weight gain. Unique diets and diet advice abound. In recent years, intermittent fasting has been promoted as a means of preventing your risk of chronic disease, as well as a potential avenue for adding years to your life. While you may cringe at the thought of skipping meals or limiting your eating to certain hours of the day, there is a growing body of evidence to suggest the health benefits of doing so could have a dramatic, positive effect on your sense of well-being. Particularly if you’re overweight and accustomed to “grazing” throughout the day — eating meals and snacks every hour or two — you may want to give intermittent fasting a try. Intermittent fasting gives your body more time to effectively digest what you are eating and eliminate waste. Many biological repair processes take place when your body is in the “rest,” not the “digest,” mode, which is why all-day grazing is a bad for you. 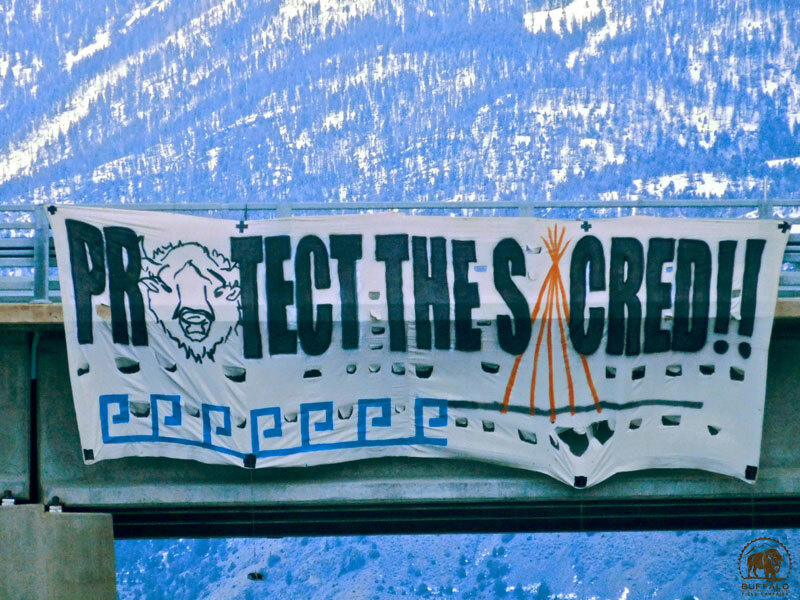 This morning a large banner depicting a buffalo and a tipi with the message “Protect the Sacred” was discovered by Buffalo Field Campaign patrols as they were documenting livestock trailers loaded with captured Yellowstone buffalo heading to the slaughter house. The banner was hung off of the Corwin Springs bridge that crosses the Yellowstone River, just a few miles north of Yellowstone National Park. As the last resisters in Standing Rock hold off the pipeline, so do the last remaining 5,000 indigenous Buffalo here at Yellowstone Park. Every morning up to 100 of the sacred Bison are exterminated during a government-sponsored population control program. Today, at dawn, at least fifty of our Buffalo brothers were shoved into trailers and hauled to slaughter. There are 1,500 Bison that are slated to be captured and slaughtered. Yellowstone Herd Bison are descendants of twenty-three Great Plain’s Bison who survived the 19th century extermenation campaign, managing to eke out a living in the corner of the National Park. Once, they numbered 60 million, and ranged the entire continent, supporting millions of Indigenous lives. Since 1901, they have managed to repopulate in this harsh reservation style habitat. However, each year through government mandate, Buffalo are trapped and slaughtered by contract killers–the pregnant mothers have their offspring ripped from their wombs. These last remaining Bison live precariously under govermental control and continue to be pushed into oblivion.